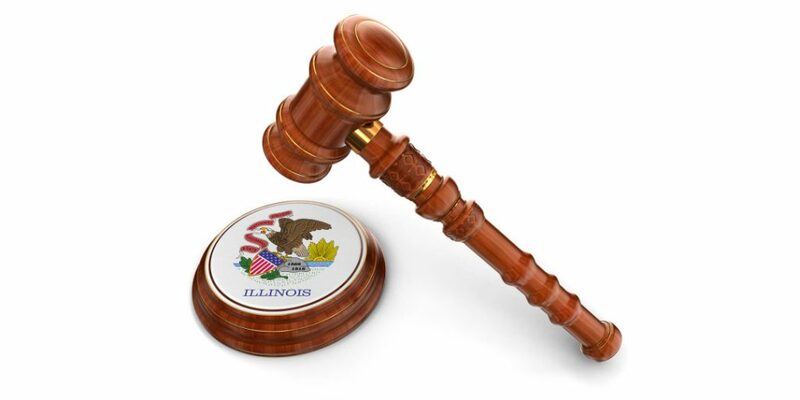 On February 6, 2018, the First District Appellate Court upheld an award of benefits pursuant to the Public Safety Employee Benefits Act (“PSEBA”) for a disabled Des Plaines police officer who suffered a permanent injury to his knee as a result of inspecting an overweight semitrailer in the course of his employment. After effectuating a traffic stop for the suspected overweight semitrailer, the officer instructed the truckdriver to report to the next weighing station so the trailer could be weighed. Once at the weighing station, the officer climbed the truck’s ladder to inspect the load, when he felt a pop in his left knee. After a course of medical treatment for the knee injury, including a total knee arthroplasty, the officer was released from medical care with permanent restrictions which precluded him from returning to full duty police work. He applied for and was granted a line-of-duty disability pension from the police pension board, and subsequently completed an application for benefits pursuant to PSEBA. However, at the City’s administrative PSEBA hearing, he was denied benefits by the City’s hearing officer. Although it was undisputed that the officer had suffered a catastrophic injury in the line of duty, the City determined that he did not meet any of the qualifying factors to be awarded benefits under PSEBA. Specifically, the City found that the officer’s catastrophic injury did not occur as a result of the officer’s response to fresh pursuit; the officer’s response to what is reasonably believed to be an emergency; an unlawful act perpetrated by another; or during the investigation of a criminal act. The officer timely appealed the City’s decision for judicial review with the Circuit Court of Cook County, and the Circuit Judge reversed the City’s ruling, finding that the truck driver’s violation of the Illinois Vehicle Code constituted an “unlawful act perpetrated by another” as set forth in the Act, and further found that the officer’s injury occurred a result of said unlawful act. Thus, the Court overruled the City and found that the officer qualified for PSEBA given the circumstances of his injury. Following the Circuit Court’s ruling, the City appealed the decision to the Appellate Court. By a 2-1 majority opinion, the Appellate Court affirmed the award of benefits for the officer. The majority’s opinion concluded that the officer’s catastrophic knee injury was clearly a consequence or effect of the driver’s unlawful act of driving an overweight truck on an Illinois roadway and was sustained because of the driver’s unlawful conduct. Accordingly, the Appellate Court upheld the award of benefits. The dissenting Justice noted that the driver’s unlawful conduct did not directly relate to the officer’s injury, but merely set in motion a series of events that ultimately lead to the injury. The dissenting Justice opined the remote nature of the connection was inconsistent with the concept of an unlawfully perpetrated act, and thus no benefits should be awarded. The case citation is Marquardt v. City of Des Plaines, 2018 IL App (1st) 163186. This decision should represent a solid victory for police and firefighters, as an expansive definition of what would qualify as an “unlawful act perpetrated by another” would certainly serve to benefit injured first responders who hope to claim PSEBA benefits in the future.